Lego will soon be selling a series of NASA sets, including a space shuttle, a space station, an alien abduction set, and I assume some of the current generation NASA rockets and vehicles. Lego = awesome. NASA = used to be awesome. This is the most transparent of attempts by NASA to restore some enthusiasm and support for an agency that is now used more to test Toyota brake systems and provide weather data than to explore space. And even though the Space Shuttle is dear to me as someone who grew up with that program, it’s telling that Lego had to delve into the past to find something NASA-themed that might sell. After all, is there even a space vehicle that symbolizes the current identity of NASA? Not when all the programs have been put on hold or canceled altogether. Also telling is that they felt the need to include aliens in these sets. NASA’s reality isn’t exciting enough, so bring on the little green men. 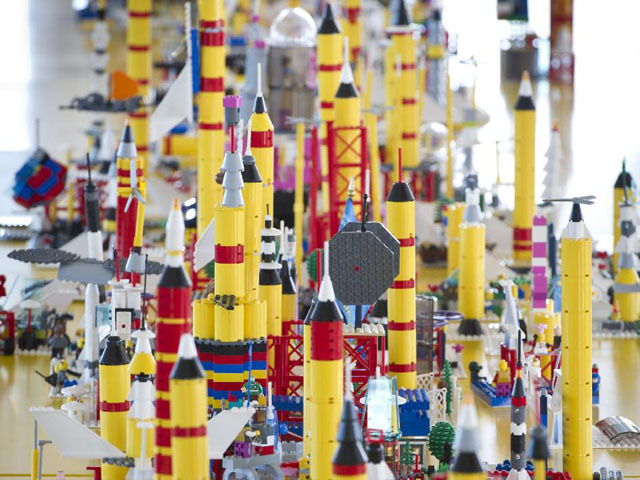 Despite all that, it’s still Lego and space, which I never get tired of. And I’m trying to remain supportive and patient while waiting for the budget-slashers to remember that space exploration is important. So yes, I’ll probably buy them either for my son or for myself. 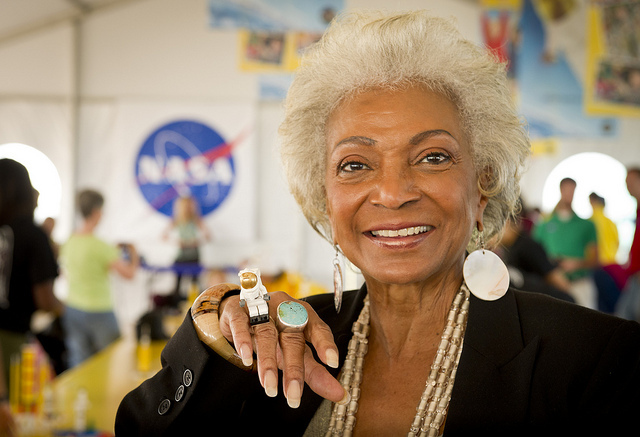 Besides, they got Nichelle Nichols to attend the launch!